Thank you for all the help given to our firm in dealing with the IRS. When we first met, you laid out a strategy and it worked well. You and Patrick were very detailed in your approach and the correspondence with the IRS and our office was very detailed, and appreciated. All in all, I would not hesitate to recommend your firm to any of your prospective clients. A trust holding a life insurance policy had unpaid Form 1041 liability due to the IRS in the amount of $73,678.00, exclusive of penalties and interest. The Trustee contacted our office regarding the trust’s unpaid liability due to the IRS. We devised and implemented a strategy to allow the Trustee to make voluntary payments to pay the liability down to less than certain IRS thresholds. 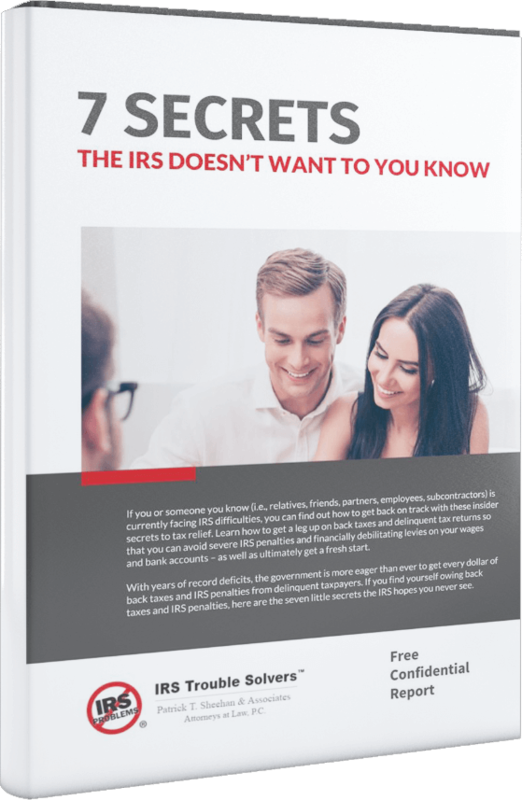 After the voluntary payments reduced the liability to below IRS thresholds, we then negotiated an installment agreement with the IRS to pay the remaining unpaid federal tax liability in full over time. We also negotiated the abatement of penalties and related interest which resulted in a savings of over $4,600.00.